I genuinely thought that I was completely over buying MAC lipsticks, but that was until I saw this beautiful shade and I haven’t been able to get enough of it recently. I actually went into MAC to buy something else, but as you do, I started to have a little browse around. Before I knew it, my whole forearm was covered in swatches and I had a basket full of new products to try out. I think by the end of my little shopping trip, I had spent near enough £200 and one of the items that I picked up was the stunning MAC Lipstick in the shade Faux. I had actually had my eye on this lipstick for quite a while and I was more than happy to finally get my hands on it for myself. I am sure that I have mentioned it here on my blog before, but I feel like MAC just isn’t talked about these days like it used to be. I can remember when I was really getting into makeup, MAC was the brand to try. I don’t know whether they don’t bring out the big elaborate collections, there are no blogger trips or just because there is more on the market these days, but people just don’t seem to talk about MAC anymore. At the end of the day, I think MAC is a great brand because you know that you can pick anything up from their range and it will be beautiful, reliable and do the job that you want it to do. Which leads me onto this MAC lipstick! I wanted to pick up this lipstick in the shade Faux because I wanted something that was a close match to my natural lip colour. 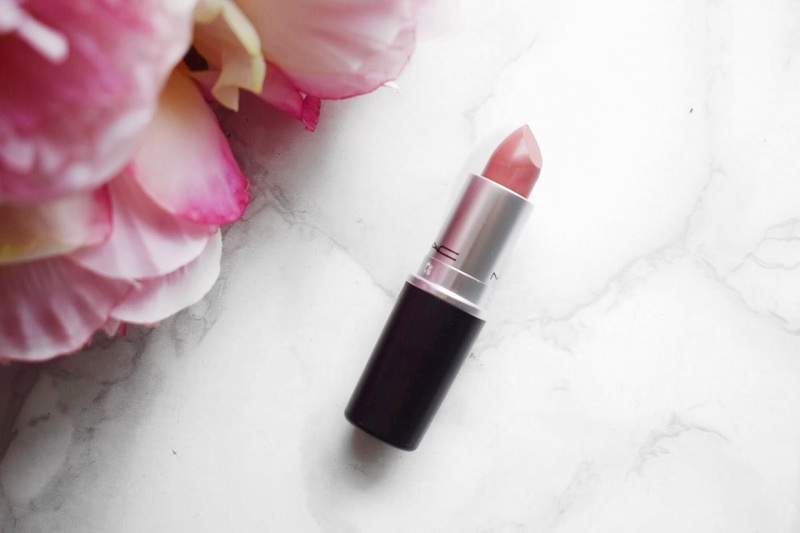 I feel like for quite a while I have been on the hunt for the most perfect neutral lipstick shade and I feel like I finally found it with this stunning MAC lipstick. The other reason why I wanted this shade is because it is one of the only MAC neutral lipsticks that I didn’t own, so obviously I wanted to get my hands on it. I actually ended up loving this lipstick that much that I wore it on my wedding day and I think my makeup looked really nice and it looked very natural in pictures. What I loved about this MAC lipstick in the shade Faux right from the start was how lovely and creamy it is. Unlike many of the other MAC lipsticks in my collection, this isn’t a matte lipstick. I would say that this is quite a satin feeling lipstick, which means that it goes onto the lips so incredibly smoothly and it looks lovely and hydrating on the lips. I feel like if you are wearing a lipstick for a big occasion, even though a matte will last all day long and not budge, you want your lips to look healthy and plump and that is why I opted for this stunning Faux shade. The shade of this is a pink/neutral shade. When I sat down and looked through my lipstick collection, I will be honest and say that I do have many that are similar, but this is the stand out one for me. I think that this is just much more of a neutral shade in my opinion, whereas some of the others have mauve or deep undertones. This is just a lovely and light lipstick, that looks like a perfect match for my natural lip colouring, which is exactly what I wanted from this lipstick and why I have been reaching for it almost constantly over the past couple of months! When I put this on in a morning, it lasts really beautifully. It stands up to eating and drinking pretty well, but it does move, but I think that has to be expected with the kind of lipstick that it is. Plus, it is nothing that a little touch up in the middle of the day cannot fix. I would much rather sacrifice the longevity of the lipstick and have to touch up rather than wear something super drying on the lips. Overall, I think that this Faux Lipstick really is stunning. Out of my whole lipstick collection, ranging from Tom Ford, MAC, Charlotte Tilbury and many more, I think it is easy to say that this is my favourite shade by an absolute country mile. I reach for this all of the time and I even have a spare in my car for when I am running around. If you haven’t tried this shade out before, I would recommend going into a MAC store and swatching it for yourself and it will be easy to see why so many people adore this shade and why it really is one of their most popular lipsticks. As normal, I will leave a link to this MAC Faux Lipstick down below in case you want to check it out for yourself. Make sure to leave me a comment down below and let me know what your favourite lipstick is! It is such a beautiful colour! It is just the most perfect neutral! I love MAC! Such a beautiful shade! MAC just haves amazing basic products! It is the most stunning shade! It really is the most stunning shade, I am in love! I will have to do an update with a swatch! I haven't gotten a new mac lipstick in ages and faux is such a great colour. MAC lipsticks are great basic! this color is so gorgeous! It is such a stunning neutral! Thanks for this review! I was actually deliberating over several MAC lipstick shades and one of them was Faux! I will go and check it out again! 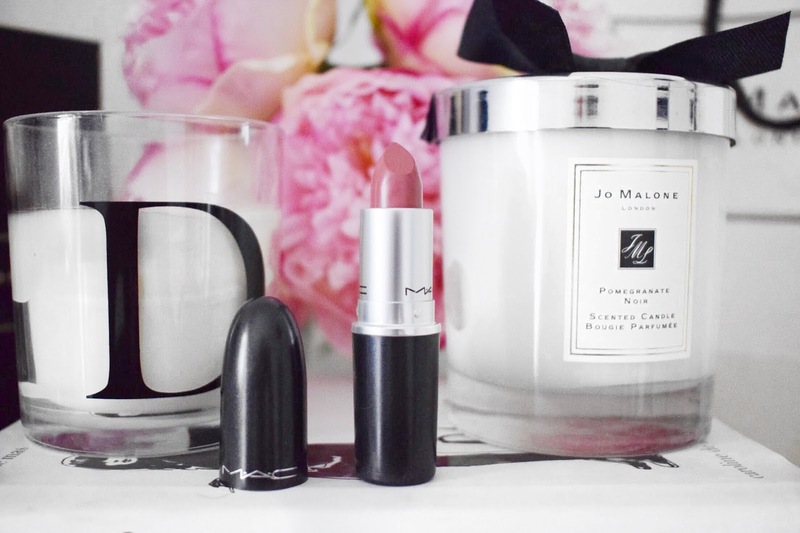 MAC lipsticks are always a good idea! Give it a try, it is an amazing shade! I wish more people could get back into MAC! I love mac lipsticks! they really last a long time when i wear it and the lipstick itself does too! Such great lipsticks for every occasion! It is a beautiful neutral shade! I love Faux! It's one of my favorite shades from MAC, so beautiful. It is such a classic shade! I feel like it is just so complimentary on so many people! It looks like a great shade and it's so good it's not drying on the lips! :) I don't wear lipstick often but I should try MAC one day (I never have!) as everyone speaks highly of it. MAC is just a brand that never gets old for me! I am kicking myself that I didn't pick this shade up sooner! I love Mac's Mehr, but I'm going to have to check this shade out. I'm all about the neutrals, lol! I think I will have to try out Mehr soon! Aww that is lovely, thank you so much for reading!